Home > Browse > Le préservatif, votre ange guardien au 7ème ciel! Le préservatif, votre ange guardien au 7ème ciel! Je m'informe. Je me protège. Je suis solidaire. = I keep informed. I protect myself. I show solidarity. The condom, your guardian angel in 7th heaven! 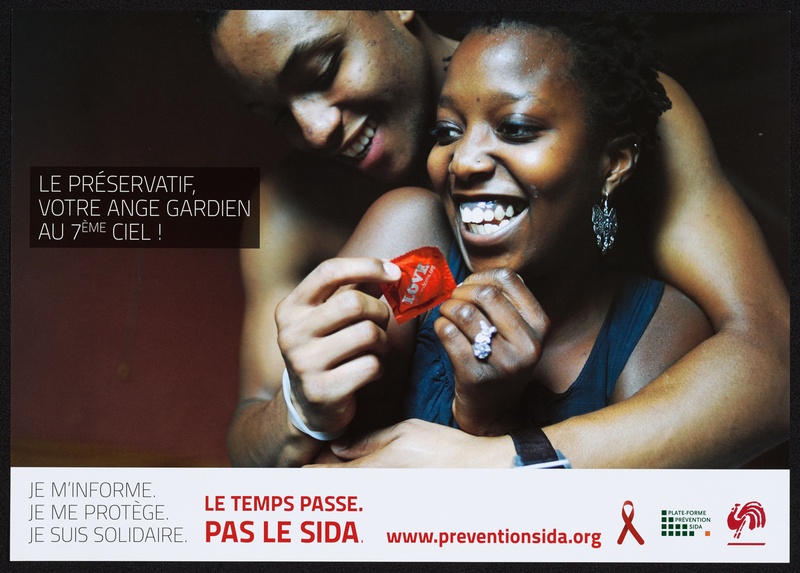 Photo of a young couple, with the man holding a condom package in front of the woman's face. Le temps passe. Pas le SIDA. = Time passes. Not AIDS.